Backlinks are types of links that point towards certain website by being strategically placed on different locations online. Well placed backlinks are very helpful for the consumers because they help in quick location of valuable information or specific product or service that people need. Backlinks are very important part of any search optimization campaign. Without them you cannot reach success online and you will fall back behind your competitors. Truth is that consumers today heavily rely on the internet. By increasing your online exposure you can make profits by providing quality products and services. SEO and backlinks as part of the marketing strategy can increase your presence and online visibility. So how exactly backlinks help? Search engines like Google use an algorithm that scans and estimates the quality of a website. It checks how relevant the site is. This is a simple concept and Google`s main goal is to provide its users with the best possible search results. Algorithms help in that. When the algorithm checks and calculates the website relevance in relation with the search query, Google checks out many different factors. Among several factors, backlinks are some of the most important ones. Both quality and quantity of backlinks are thoroughly checked and analyzed by Google, but that does not mean the website should be packed with plenty of backlinks without good quality. Backlinks that are found on high quality websites like YouTube, for example, or in some popular directories are by default very popular. Google recognizes those sites as websites with high authority. Because of that, those backlinks have high value. In essence, the more backlinks present on a website usually means the bigger traffic and better relevance. If you have a brand new blog or a website then accumulating backlinks can be challenging. Sometimes online marketers use different helpful tools for creating quality backlinks. That is part of the so-called off-page SEO strategy. With help of tools, you can post different content with large number of backlinks to hundreds of different websites. The tools can save you valuable time and energy, but you should use them in accordance with certain rules. When you start to promote your website you should remember not to instantly post thousands of backlinks. If you do that you will be labeled as spammer and your website relevance will drop down in the eyes of popular search engines. A better strategy is to schedule different times for placing backlinks so everything will look natural. If you are consistent with this strategy then the organic traffic towards your website will eventually increase. 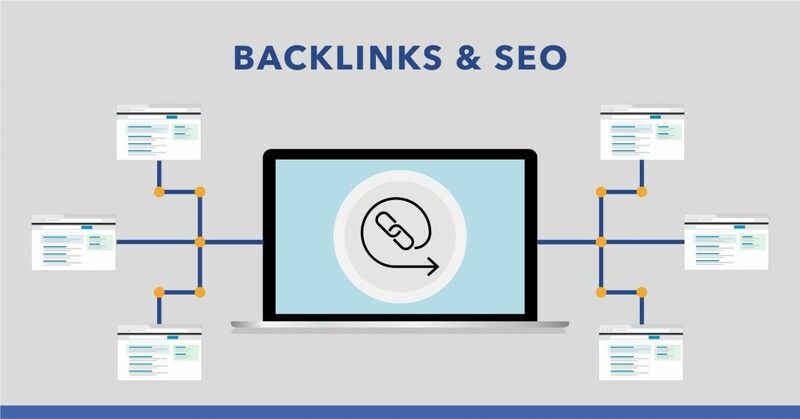 This was some general information about backlinks and how placing them strategically can help the search engine optimization of the website. Backlinking is an important part of any SEO strategy which you must do it if you want to be successful online. Today there are many experts and agencies that can help you in this matter, so it is advisable you seek professional services for best results.